Which material for pallet deliveries – Plastic or wood? Pallets, in all their forms and shapes, are used all over the world to ship anything from food to engines. They are by far the most common tool for efficient stacking and handling in the shipping industry with an estimated 2 billion pallets circulating in the US alone. Out of these 2 billion there are only 7% that are made from a material other than wood (such as plastic, paper and aluminium). Since such a huge amount of pallets are made of wood, this must mean that they are inherently better for your pallet delivery needs…right? Then why is there a debate over which material is the best? Wood or Plastic? The simplest explanation why there are so many wooden pallets used is that they are the standard. Wood was the material used when the modern pallet was popularised in the early 1900s. The addition of other materials did not come until a later date, and as such are not the norm. Durability: Here plastic is the clear winner. Plastic can hold up for 100s of trips if properly looked after. Maintenance: Plastic requires very little maintenance due to its durability. Plastic pallets are easy to wash and normally chemicals or other synthetic materials do not leave any marks. Wood pallets are treated to prevent fungi and bugs, but may require repair when used for a while. Plastic comes out ahead, but only by a small margin. Cost: Plastic pallets are usually much more expensive than wooden ones. The prices can be up to 4-5 times higher, but might be offset by higher durability. There’s no clear winner, although if it is only a one-way trip, an inexpensive wooden pallet is the way to go. Sustainability: Wooden pallets are made from non-commercially viable wood, which is a renewable energy as trees are replanted. 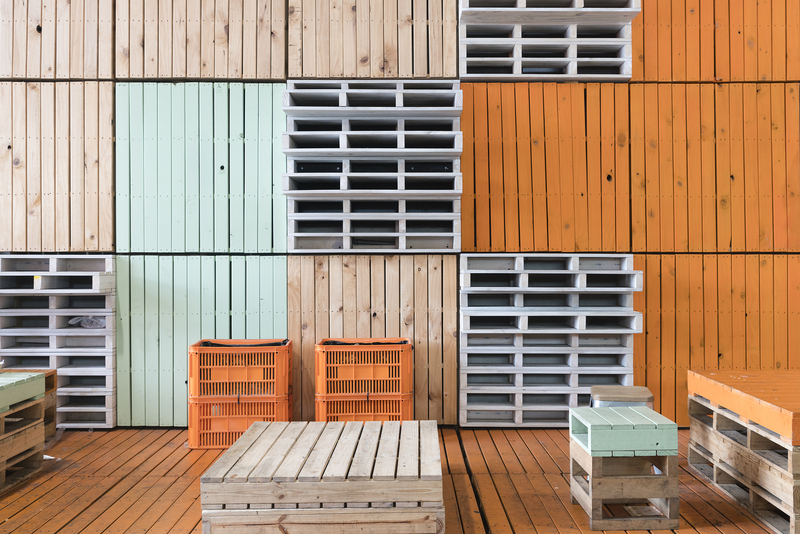 Wooden pallets can also be recycled in various ways, anything from woodchips to furniture. Plastics, on the other hand, require oil, which is a finite source of energy, but they are also recyclable and are often made from old PET-bottles. Renewable energy is preferable to a finite resource, so we’ll give the win to wooden pallets here. It all depends, then, on what the needs of your pallet deliveries are. If you are sending chemicals or food, and require something that lasts a long time, plastic pallets may be best. If it’s a one-way trip, for short to mid-term use, or if cost is an issue, go with wooden pallets.